•Trim/prune away the surplus of interior tree branches. •Trimming branches growing toward or on the house. •Remove lower hanging branches over sidewalks and streets to meet city ordinance requirements. •Branches hanging over the driveway that can damage property or vehicles. •Trim branches growing into buildings. •Trimming branches to get more sunlight on your yard/house. •Remove broken tree branches or hangers. 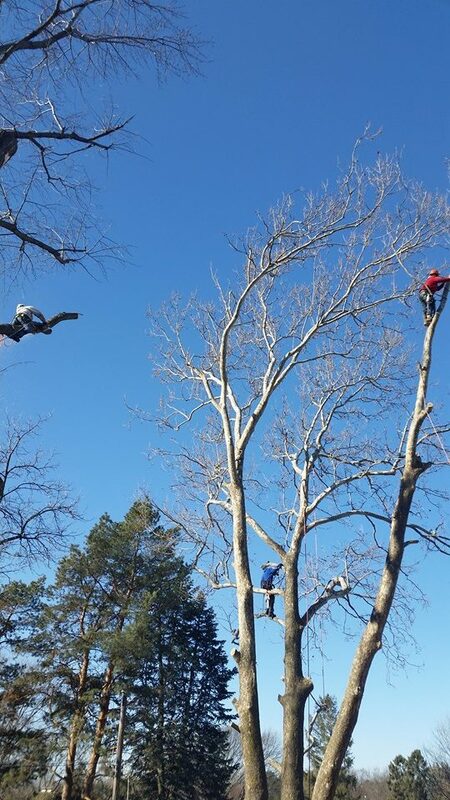 •Trim down possible storm damage by removing excess interior tree branches. •Optimize traffic or pedestrian flow around trees or under trees. •Allow traffic signs and lights to be more visible. •Improve the health of trees by trimming diseased branches. •Boost the safety of trees by trimming large, dead branches, weak, or broken branches. •Expand growing conditions for environment shrubs or grass. •Generate tidy and well kept aesthetic of landscape. •Decrease the chance of leaf diseases by promoting more air flow throughout the tree canopy. This type of trimming allows for more air flow throughout the tree’s canopy area. More sunlight will shine on your lawn promoting a better looking yard and will allow for more air flow preventing stress on interior branches. With this type of trimming we raise the height of lower hanging leaders. In Kansas City, branches must clear 10’ feet over sidewalks and 14’ over streets. This technique is used when your tree has outgrown it’s intended area. It involves pruning back the height and width of the upper portion of the crown.